Currently section 8 rented for $925. This is a 3 bedroom 1.5 bath cape code style home! It has a finished walk-out basement! It has a new furnace and large yard! This is a must see! Great opportunity! Directions:S on Hamilton Ave/Rt 127 to L on St Clair. Just North of Ronald Reagan Hwy. Listing provided courtesy of Jonathan Pemberton (513-549-0599), Keller Williams Advantage Real Estate (937-848-6255). SchoolsClick map icons below to view information for schools near 1504 St Clair Avenue Mt Healthy, OH 45231. Home for sale at 1504 St Clair Avenue Mt Healthy, OH 45231. Description: The property at 1504 St Clair Avenue Mt Healthy, OH 45231 with the MLS# 1610155 is currently listed for $74,900 and has been on the Mt Healthy market for 67 days. 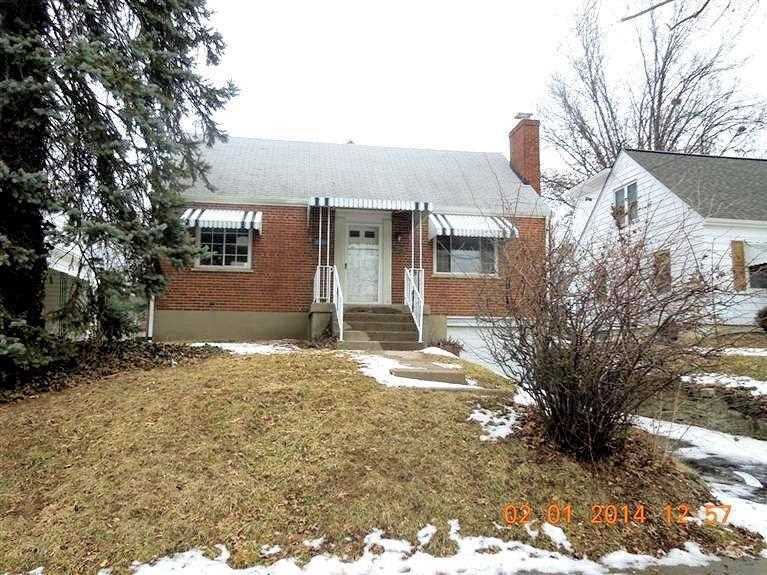 You are viewing the listing details of the home for sale at 1504 St Clair Avenue Mt Healthy, OH 45231, which is located in Hamilton County and features 3 bedrooms and 2 bathrooms.